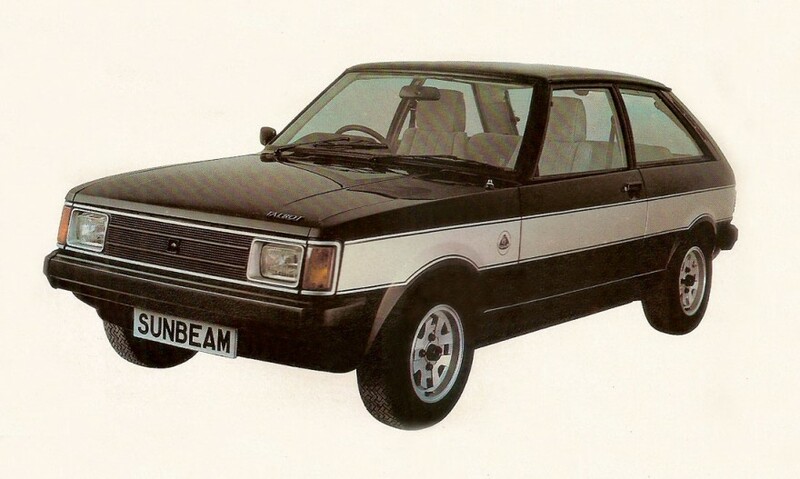 The 1980 Talbot Sunbeam Lotus had a 2.2 liter Lotus engine linked to a 5-speed gearbox. It had an output of 150 BHP with acceleration of 0-60 in up to 8 seconds and a top speed of 122 MPH. It also offered room for four passengers and with the rear seats fully folded down, it had an amazing 42.7 cubic feet of luggage space. Published on April 24, 2013 9:04 pm. Published on April 11, 2015 9:17 am. 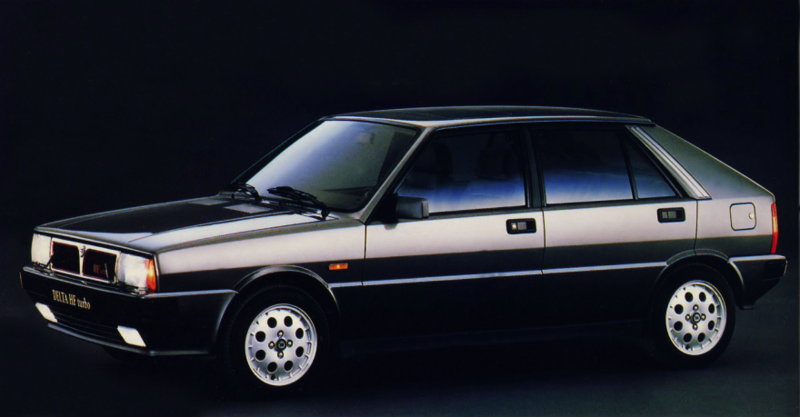 The 1990 Lancia Delta HF Turbo MRSP was just £7,710. An impressive purchase, considering this vehicle won the World Rally Championships in 1987, 1988, 1989 and 1990. Published on January 18, 2015 10:44 am. In 1980, the front wheel drive, 5-speed Toyota Tercel 1.3GL managed a 47.9 MPG rating at a constant 56 MPH and had a 97MPH top speed. It had a spacious 32.2 cubic feet of storage space, and came with halogen headlamps, polypropylene bumpers, internally adjustable door mirrors, rear seats belts, individually folding rear seats, FM radio, tinted glass, rear wash/wipe, mud flaps, “low fuel” and “door ajar” warning lights and luggage lamp, all standard. Published on September 21, 2014 2:50 pm. 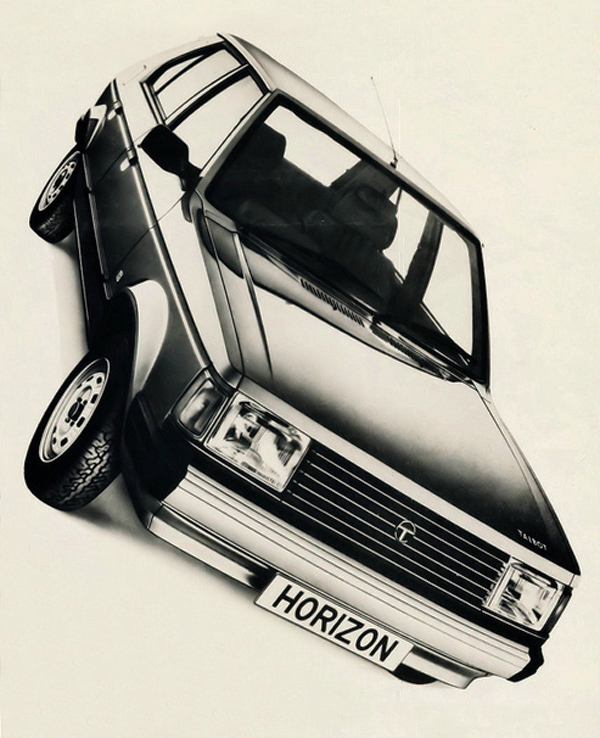 The fornt-wheel drive 1981 Talbot Horizon 1.5GL had a modified camshaft to improve engine torque and chafe the gear ratios to give effortless acceleration and uncanny fuel economy. At 56 MPH, it achived 51.4 MPG. 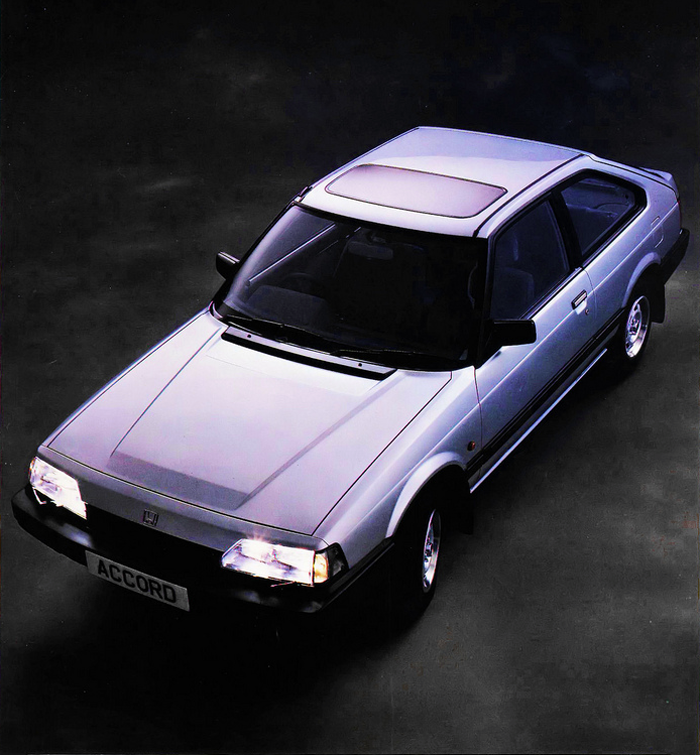 Standard features included push button radio, quartz clock, adjustable front seats, head restraints, remote control driver’s door mirror, halogen headlamps, tailgate wash/wipe and a unique “Econometer” which told you at a glance your maximum economy at a given speed. Published on September 21, 2014 12:12 pm. 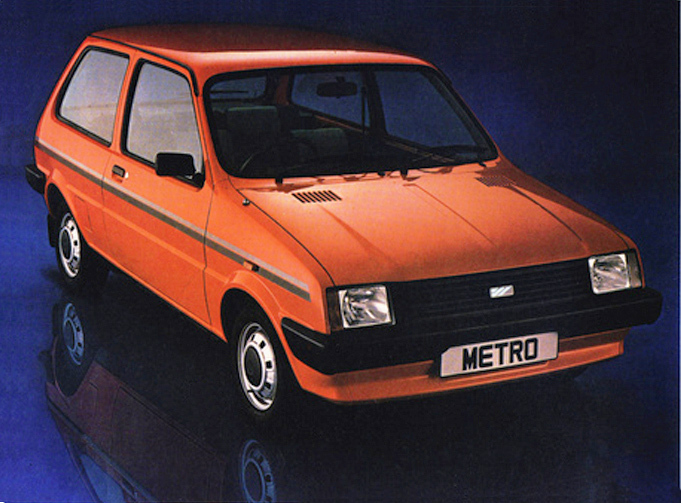 Due to significant engineering breakthroughs, the 1980 Austin Metro was designed to g0 12,000 or one full year between services of any kind. Each car had brake pad sensors to let you know when to change the pads. Self cleaning sliding contact points are standard, as was a long-life battery which only needed topping once a year. An enlarged oil filter element and long-life spark plugs which did not need cleaning were standard as well. With its new A-Plus engine and refined, positive gear box, the Metro delivered great performance and great economy. The 1.3 HLS topped 96 MPH and had a 0-60 time of 12.3 seconds. The HLE achieved a 62 MPH rating at 50 MPH and an astonoshing 83 MPG at 30 MPH. Published on September 21, 2014 11:42 am. 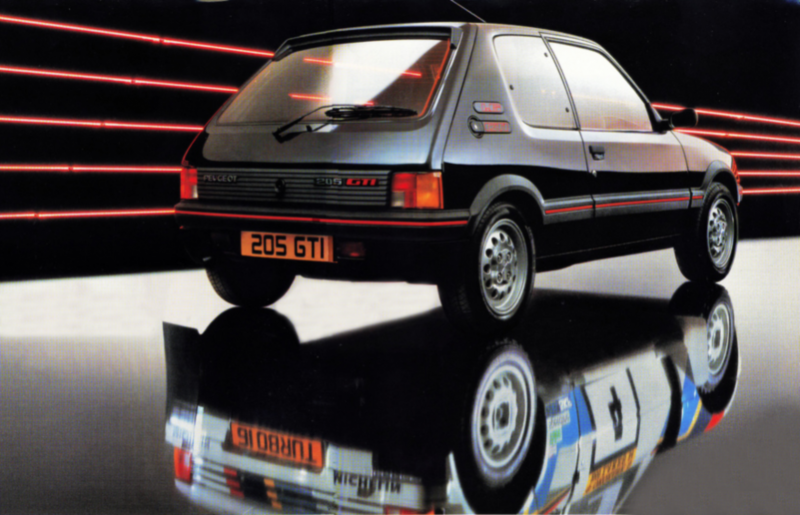 The Peugeot 205 was first available as a GTI in 1984 and was initially powered by a 4 cylinder, 1580cc, 1.6 petrol engine. It had an MSRP of £7,145. Published on August 3, 2014 6:45 pm. 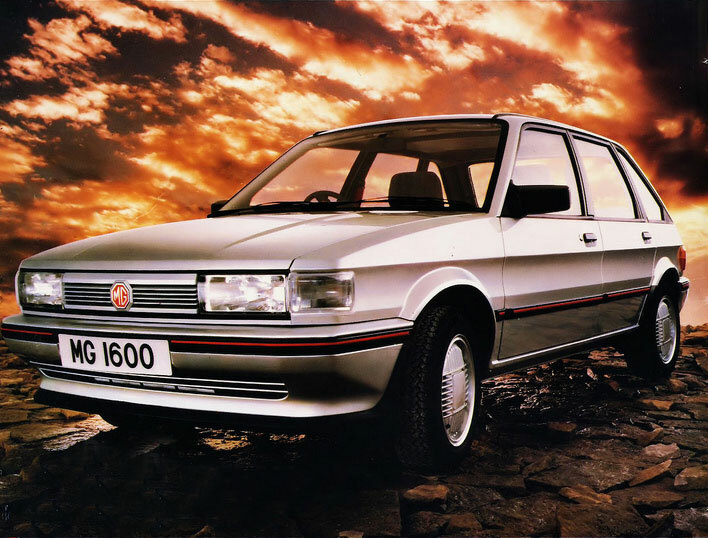 The MG Maestro 1600 was a no nonsense rugged, reliable and luxurious 5-door hatchback. The 1600ccR series engine with two twin choke carburetors and five speed gearbox delivered truly impressive performance. It achived a 0-60 time in 9.6 seconds flat with a top speed of 111 MPH. Its front wheel drive, low profile tires and wide alloy wheels gave it crisp handling and a smooth ride. It had flush glazing, an integrated front spoiler and aerodynamic strakes and spoiler around the rear window. The refinements on the inside included the sporty, close ratio five speed box, padded leather-bound steering wheel, body hugging sports seats and the latest electronic instrumentation including a digital speedometer and a trip computer. 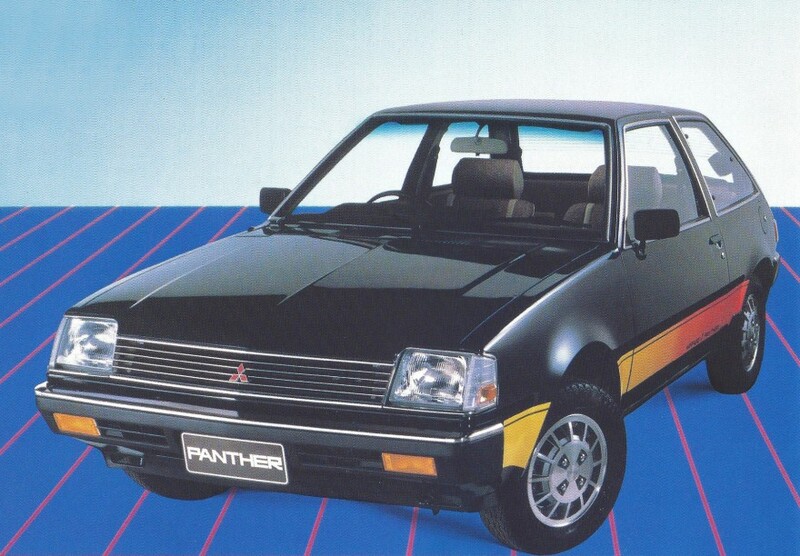 It even had a unique voice synthesizer that was programmed to speak on fifteen different topics – from suggesting you put your seat belts on to warning you that you’ve left your lights on. Published on July 4, 2014 3:41 pm. 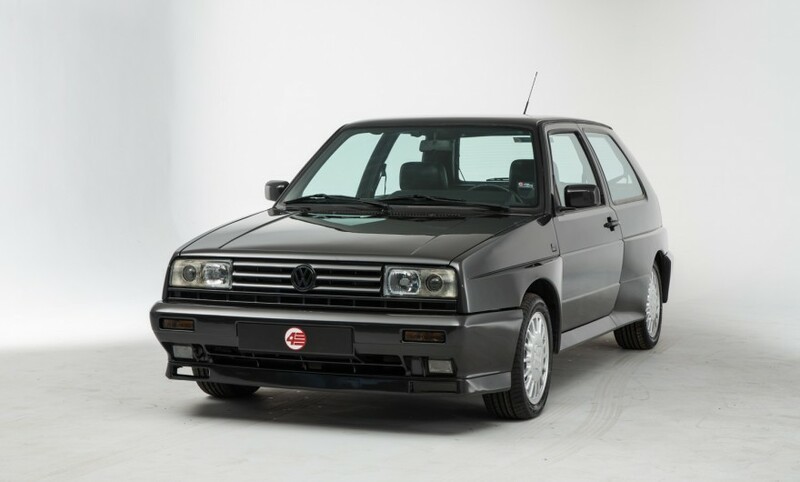 In 1989 Volkswagen created the Golf Rallye, the car featured four-wheel-drive with a heavily revised supercharged 1.8 engine. The Rallye has a top speed of 130 mph and 0-60 mph in 7.6 seconds. The engine produces 160 bhp at 5600 rpm due to the compression ratio of 8:1 and maximum supercharged boost pressure of 0.56 bar. The Rallye sits on 6Jx15 multi-spoke alloy wheels, shod in 205/50VR-15 tyres. The car has a similar suspension set up to the 16-valve, except that the springs and shock absorbers have higher damping rates and stronger anti-roll bars. The bodywork was improved with redesigned front and rear bumpers with deaper aprons, the legendary steel box arches and rectangular head lights incorporated in a three-bar grille. Published on June 29, 2014 10:08 am. 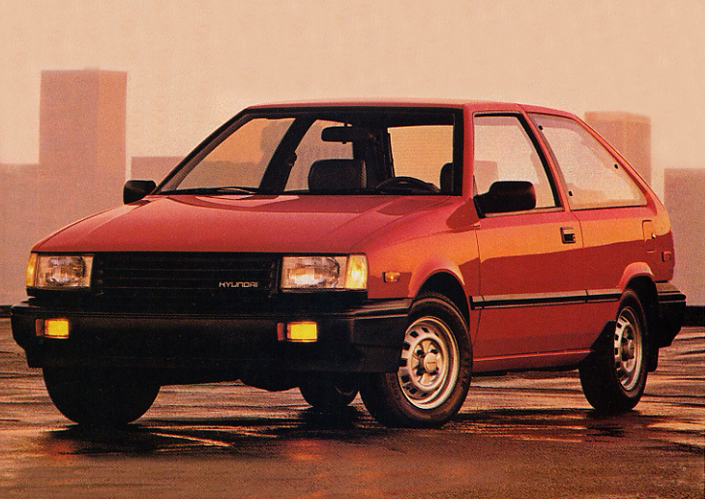 The 1984 Honda Accord had style, per for,acne and power. It had a 1.6 liter engine for the deluxe models and a 1.8 liter for the Executives – both with a 12-valve crossflow that had 3 valves per cylinder giving it greater efficiency, more lively performance and all-around economy. Transmission options included either a 5-speed manual gearbox or a 4-speed fully automatic unit including overdrive, with an advanced direct-drive-lock-up clutch for an extremely smooth drive. Its concealed wipers, an upswept tailgate and an agresive slant nose gave it slippery aerodynamic lines. Published on June 18, 2014 2:12 pm. The 1700cc Renault 11 TXE had a brand new and more powerful 1761 cc engine mated to a 5-speed manual gearbox that produced 80 BHP reaching a iximim of 106 MPH that got an amazing 54.3 MPG. It came with 175/70 SR 13 tires, front fog lamp and headlight wash, electric front windows, rear wiper, central door locking with remote control, mono trace front seats, folding plot rear seats, alloy wheels and side bump shields, all for just £6,100. Published on June 15, 2014 5:59 pm. 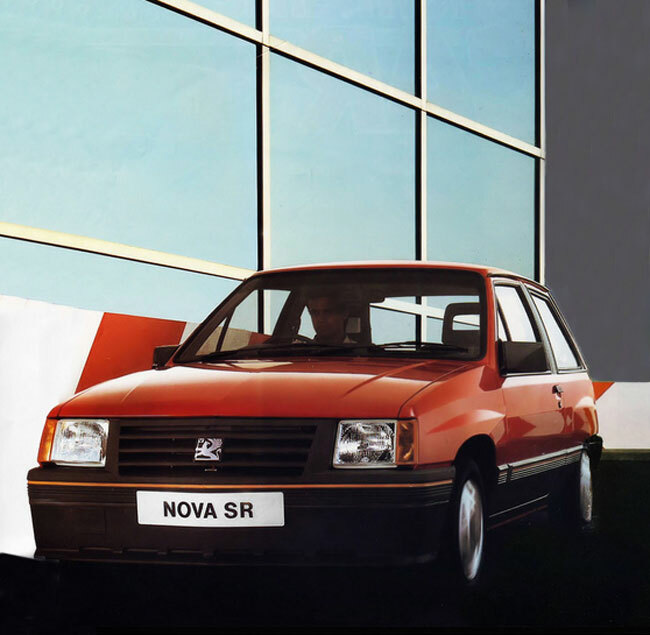 The 1984 Vauxhall Nova RS took 10.6 seconds to get from 0-60 MPH and had a top speed of 103. It has a 1.3 liter OHC engine that produced 70 HP and was linked to a 5-speed manual gearbox. With its upgraded suspension, low profile tires and a pair of purposeful spoilers, it had a fairly enjoyable ride. Published on June 14, 2014 11:04 am. 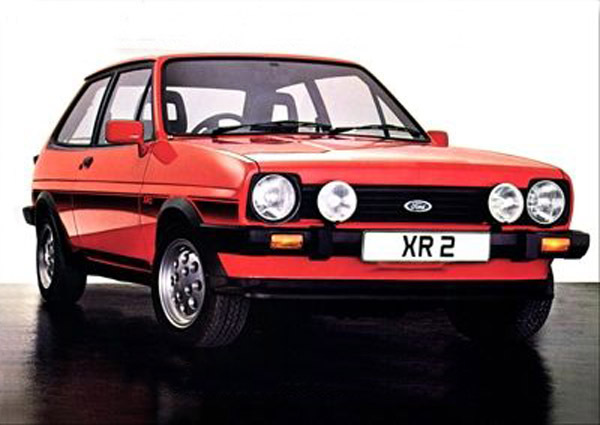 The Mk1 Ford Fiesta XR2 (with the round headlights) was launched in 1982 and featured a 1.6 liter engine that gave it a 0–60 time in 9.3 seconds with a maximum speed of 105 mph. Published on June 12, 2014 12:36 pm. $5,499 was a down payment for most cars but for the 1989 Hyundai Excel, it was the MSRP and came with more standard features than any other car in its class. Like reclining bucket seats, plush cut-pile carpeting and five all-season steel belted radials. Plus, it had front wheel drive and room for five adults. It even came with free membership to the Cross Country Motor Club and a 36-month/36,000 mile bumper-to-bumper limited warranty with no deductible. Published on March 30, 2014 9:59 am. 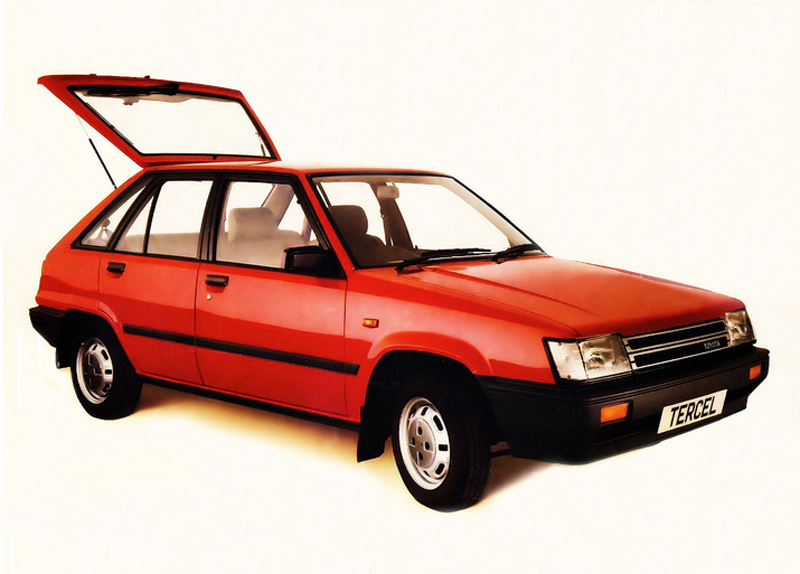 The 1979 rear wheel drive Toyota Starlet GL 1000 5-door had a 993 cc, four cylinder engine reaching a minimum speed of 84 MPH and got 48.3 MPG. It was a dream to drive with its rack and pinion steering and looked great with its smooth lines and wind tunnel tested profile giving it a low drag coefficient body. It was fired with MacPherson strut-type suspension at the front and four-link location coil spring suspension at the back. It even had some pretty high safety standards like collapsible steering column and the body structure was designed to adsorb the maximum amount of energy on impact. Published on March 29, 2014 2:11 pm. 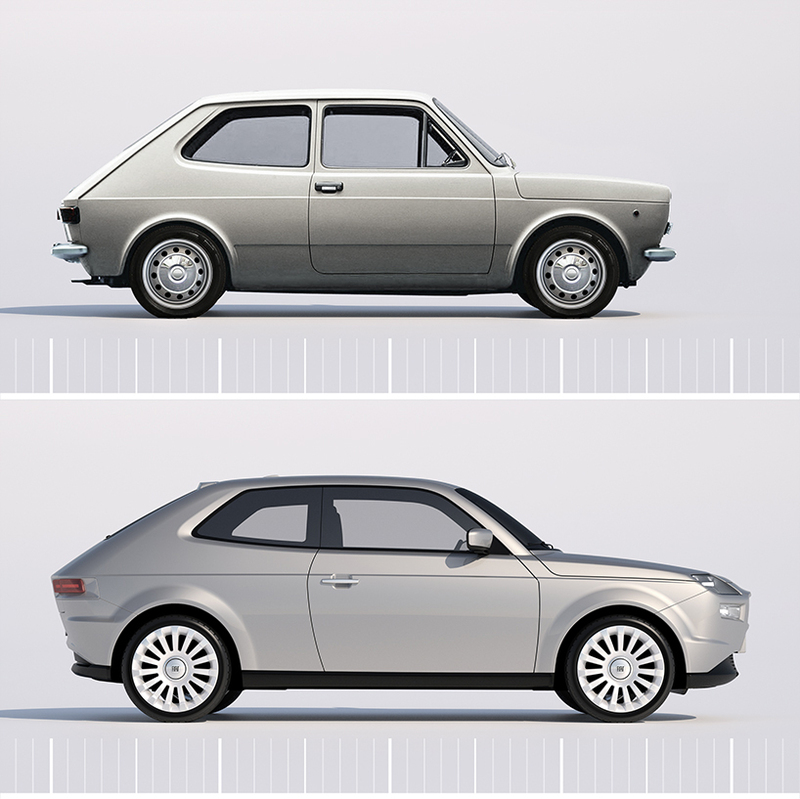 1971 Fiat 127 and 2013 David Obendorfer Fiat 127 concept. Published on March 27, 2014 10:11 am.